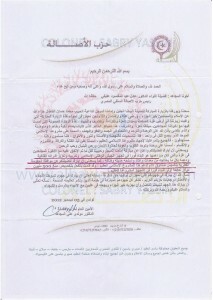 Al-Bawaba News published exclusively on 19/11/2013, a letter reveals involvement of Qatar, Hamas in Gaza strip and Muslim Brotherhood of Tunis, in the Creation of An Islamic Army. Colonel Sabry Yassin, the Chief of Egyptian Veterans Club revelead a letter dated 5/12/2012 adressed from Dr. Molidi Aly Mogahed, the Secretary General of the Tunisian Assala Party, to Dr. Adel Abd Elmaksoud Afifi, Chief of the Egyptian Assala Salafi Party. In this letter, Molidi expressed his happiness of the Egyptian Islamist Preacher Mohamed Hassan’s visit to Tunis and Gaza Strip. (Mohamed Hassan was one of the Islamist Preachers who supported Former Brotherhood President and Muslim Brotherhood Organization’s call for Islamist Sunni to go to Syria and join their Rebels brothers in Syria to fight their battles against Shiites. 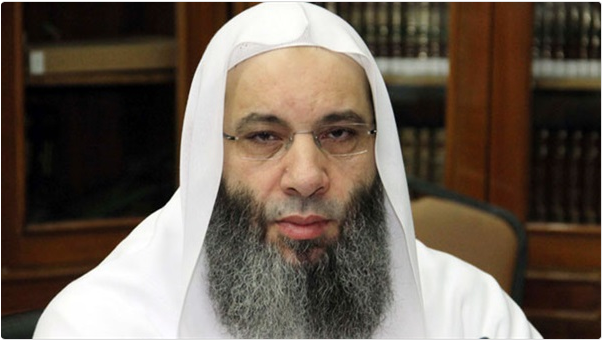 He was also one of the preachers who publicly incited Islamist in Egypt to kill all the non-believers Egyptians who will participate in the 30th of June 2013 Revolution against Brotherhood Regime. This was publicly announced in the attendance of Former President, as the following video shows). Molidi mentioned that he considers this visit a pride and honor Charter which was written with Islamist pure blood, in order to continue Islamist path and goals. And by God’s will, when all Islamist get united in one body, object and doctrine, they will be able to continue on building Islamist Mujahideen (Islamist Militants). Molidi added that he is glad to mention that they have established their Islamic Project based on gathering all in one. He also mentioned that at this stage, all Islamist currents and Groups must reject their Titles “Salafist AlNour Party in Egypt; Muslim Brotherhood, Assala Salafist Party in Egypt, AlNahda Party in Tunis”. Because as they know and believe that they are targeted by their enemies and that is why it is necessary to drop all these titles and gather in one body under the title of “Muslims”. He also wrote that Islamist enemies are gathered against them to destroy their Islamic project. And they have established their union away from any division or strife. Molidi expressed his great happiness to inform Abd ElMaksoud, that all the Mujahideen Brothers all over the world and in Gaza strip, agreed on the necessity of starting immediately the preparation and the training of an Islamic National Army. It is also a high priority to enhance the Islamic Army’s combat capabilities. And to support the Islamic Army with all the necessary equipment, ammunition and lethal modern weapons. Molidi added that he is also glad to inform Abd ElMaksoud that the Qatari Government approved and agreed on establishing a permanent support funds in financing their great Islamic Project. Qatar has allocated a down payment amount of 500 million US$ to immediately start the processing of the creation of the Great Islamic Army Project.